The PS 48 Title III After School Program for Spring 2016 focused on accelerating the English language acquisition for English Language Learners (ELLs) and at risk immigrant students who may have a home language of English. The program centered on developing content knowledge aligned to the New York City Dept. of Education (NYCDOE) social studies and science scope and sequence. This provided the academic vocabulary and literacy skills to be successful for grade level demands, whether tasks or formative assessments in literacy, in particular for the Spring 2016 NYSESLAT assessment. 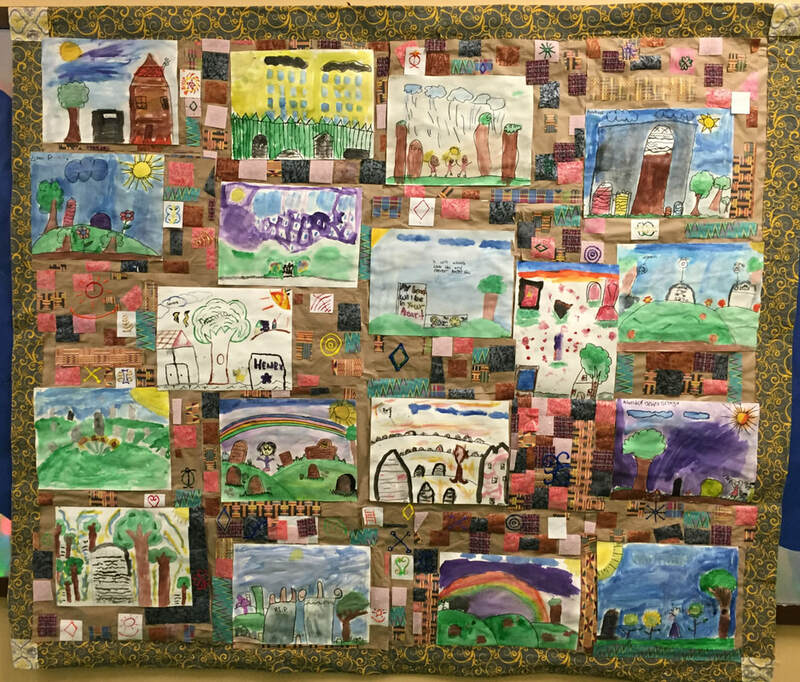 This program culminated in the development of a Remember the Forgotten​ Memory Quilt, developed under the guidance of PS 48 artist and teacher, Ms. Muzik. 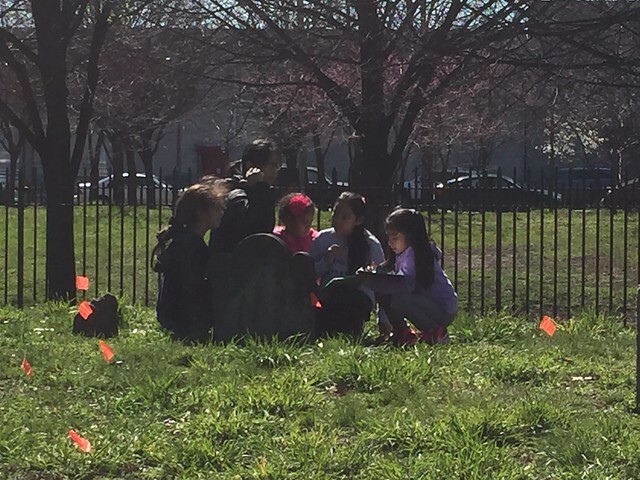 In concert with structured English language development, students engaged in authentic, hands on archaeological research in collaboration with Jessica S. MacLean, PhD, RPA Archaeologist, resident archaeologist for the Hunts Point Slave Burial Ground (HPSBG) Project housed at PS 48. Integration of the students work into public interpretation at park. Adapt this data recording sheet to map, document, and record information on headstones in Drake Park and other cemeteries. Always ensure permission and access, as well collaborate with local experts when working with historic objects such as cemetery headstones.